Her owners had just abandoned her at the "shipping pen." 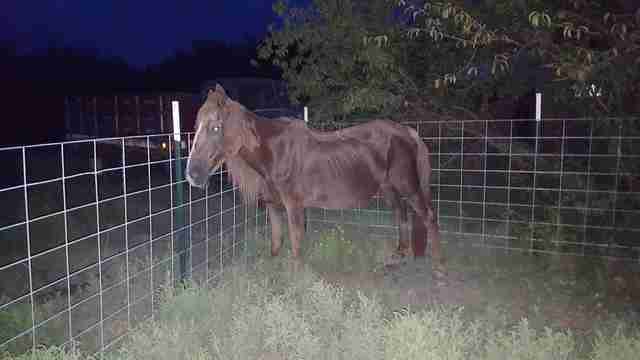 A scared and skinny horse wouldn't be alive if it weren't for 14 kind people who pitched in to save her life. "Extremely critical fundraiser ... Take a look at this poor sweet girl!" Blessed Warrior Equine Rescue (BWER), in Gainesville, Texas, wrote last week on its Facebook page. 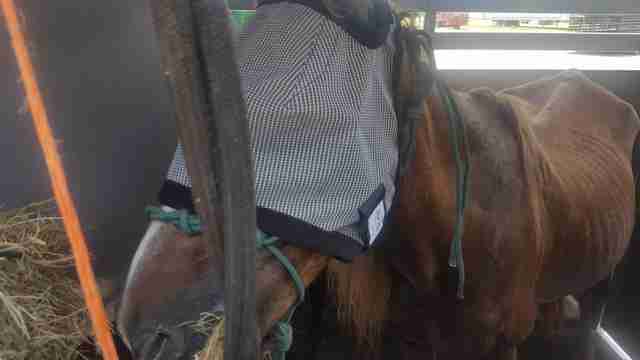 The organization's aim is to save horses from "shipping pens," the last place they go before they're shipped to slaughter in Mexico. And this horse, who has a sweet little diamond shape on her nose, was next to go. "She really needs our help to get her safe," BWER wrote. 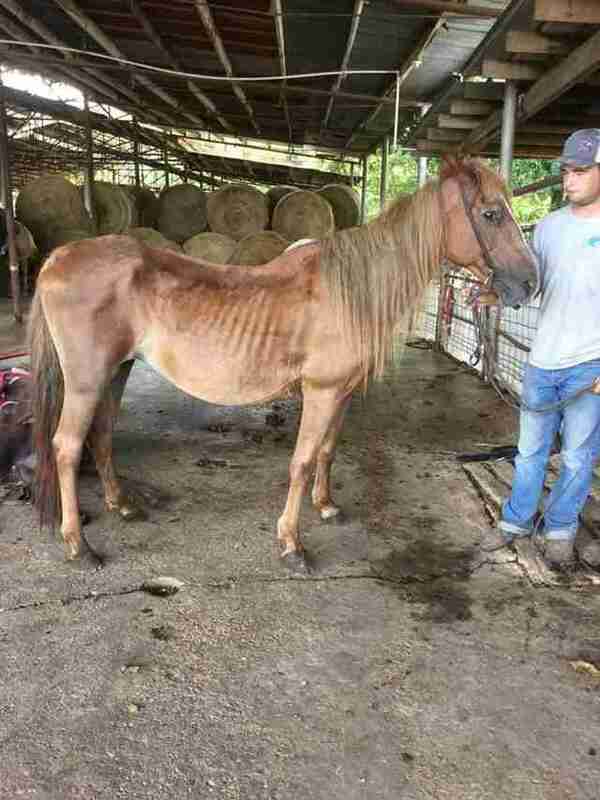 "She has faithfully served her owners and they abandoned her in a place like this, in such poor condition." 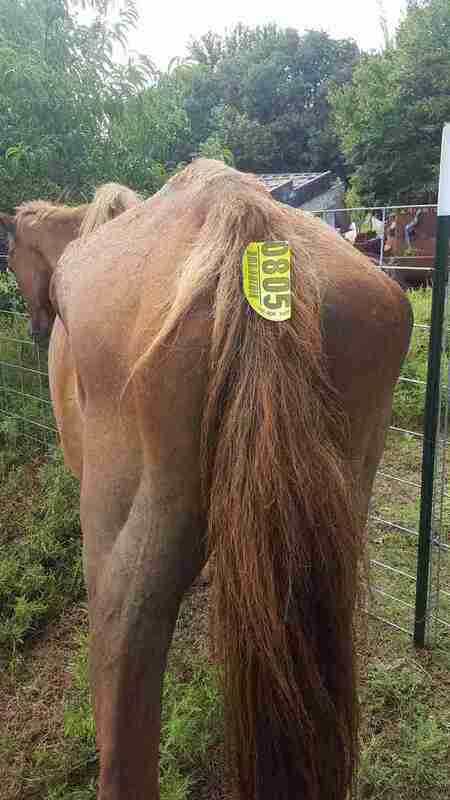 About 100,000 American horses or more per year are sent to Mexico and Canada to be slaughtered. 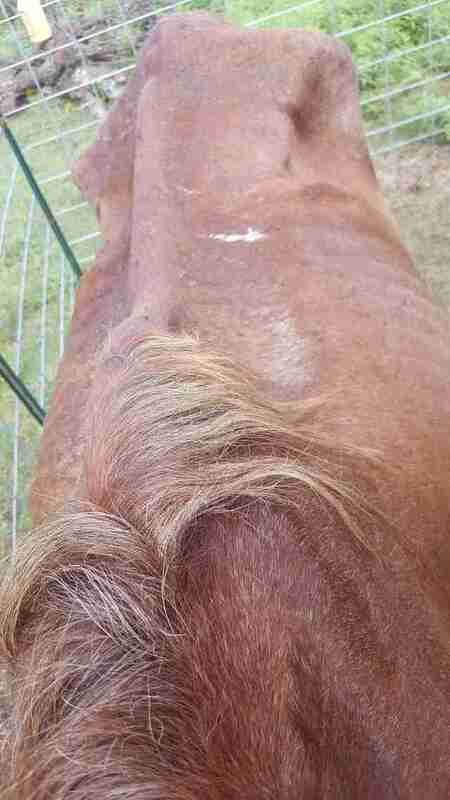 And this very nearly would have been the fate of this horse — who is estimated to be about 16 years old and was still able to give rides to the workers at the shipping pen — if people hadn't stepped up to help. Luckily, thanks to donations ranging from $10 to $100, BWER was able to raise the $500 required to save her life. "SAFE," the rescue announced this week. "Thank you everyone who helped get her safe ... Y'all are the true heroes." Now the horse, who doesn't have a new name yet, is recovering at BWER — and she's even put on a little weight already. And while she gets better, her future is starting to take shape. 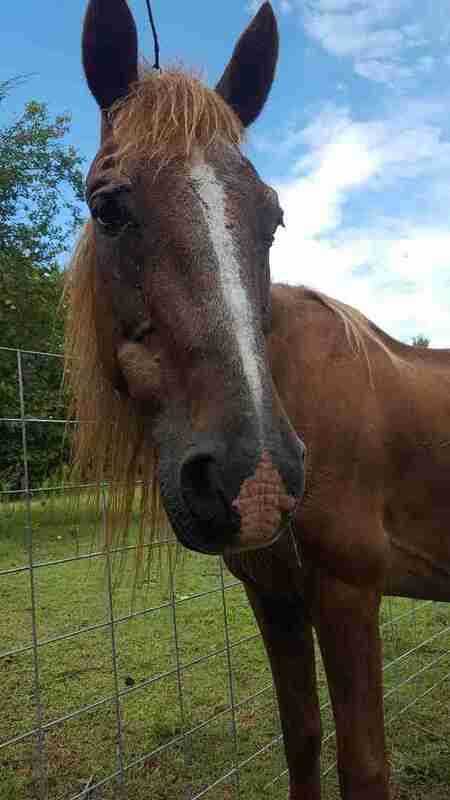 "We do have some horses that stay here at the rescue," Tierra Matthews, founder of BWER, told The Dodo. But Matthews thinks that this girl will be ready for a new family soon. "Right now, we do plan on adopting her out once we feel she is well enough." To help BWER save more horses from the slaughter pipeline, you can follow its rescue work on Facebook.